Hello I'm 115 pounds and I can not find any kayak for my size,I'm a begginer . Can you recomend me any boat??????? im bout 119 pounds...wat kinda boat u looking for? I spent long time paddling boats too big 4 me but now ave a creeker...small mamba(7.5) and a playboat ...jackson star, both fit me really well. tho as a beginner u prob want somethin between the two...so yeah Id say u should look at he jackson fun range...prob the jackson fun 2 as I think the Fun 1/1.5 are for evn lighter people/kids. There are tons of boats that fit you at that size. You must not have looked at all. 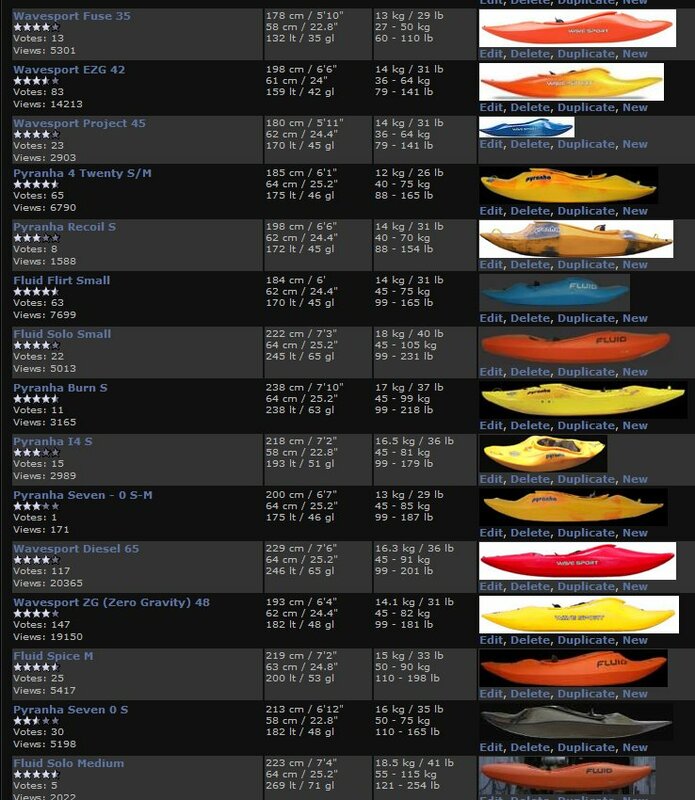 Choose a few manufacturers, choose maybe allrounder, creeker and playboat from the kayak type. Choose 2008 to whatever for the year. Then choose under order results by: minimum paddler weight and also smallest first. As you can see there are quite a few small boats, this depends on which manufacturer you choose of course... Good luck and have fun! Hope this helps you.